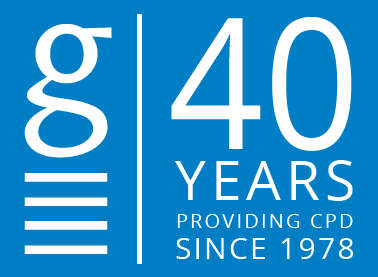 Vildagliptin (brand name Galvus), a dipeptyidyl-peptidase-4 (DPP-4) inhibitor (or ‘gliptin’), is an oral hypoglycaemic medication that is now fully funded for the treatment of type 2 diabetes. It is recommended for use after metformin as second- or third-line therapy for patients not achieving target HbA1c. This MedCase discusses the place of vildagliptin in the management of type 2 diabetes. Mr A is a 68-year-old Māori man who was diagnosed with type 2 diabetes 6 years ago. He is a retired factory worker whose wife passed away a few years ago. He lives with his grand-daughter and her three children, and is alone in the house during the daytime when they are at school and work. Mr A is overweight, with a BMI of 32. He has hypertension and hyperlipidaemia, which are adequately controlled on Losartan/hydrochlorothiazide 50mg/12.5mg daily and Atorvastatin 40mg nocte, respectively. He is up to date with retinal screening and has annual foot checks with your practice nurse. Mr A was initially reluctant to take medications for diabetes, and made diet and exercise changes with support from your practice. However, after three months his HbA1c remained high at 74 mmol/mol. You discussed metformin, and its suitability given his creatinine clearance of 90 mL/min. After some discussion, he started taking 500mg twice daily with no adverse effects, and the dose was increased to 1g BD four years ago. His HbA1c has begun to increase again lately, and the most recent result was 68 mmol/mol. It is important that you act to improve Mr A’s glycaemic control. Which oral hypoglycaemic should you suggest next? The addition of DPP-4 inhibitors to the menu of funded hypoglycaemics allows prescribers to better tailor a treatment regime to individual patient needs. The table below provides an overview of the options, including the non-funded oral medications. Vildagliptin comes in two formulations: a tablet containing vildagliptin 50mg (brand name Galvus), or a combination tablet containing vildagliptin plus metformin in two strengths (brand name GalvuMet or Galvus Met; 50mg/850mg or 50mg/1000mg). Enhanced pancreatic beta cell sensitivity to glucose, resulting in improved glucose-dependent insulin secretion (i.e. only after eating). Enhanced sensitivity of pancreatic alpha cells to glucose, resulting in more appropriate secretion of glucose from the liver (i.e. during meals rather than fasting, thereby diminishing insulin resistance). Improved insulin/glucagon ratio during hyperglycaemia, resulting in lower fasting and post-prandial blood sugar levels. In comparison, metformin and sulphonylureas reduce HbA1c by 10-15 mmol/mol. Your second-line options include a sulphonylurea or vildagliptin. There are some important differences that make vildagliptin a good choice for Mr A. Low risk of weight gain. This is an important consideration for patients at higher risk of hypoglycaemia, such as elderly patients or those likely to skip meals. The low risk means that vildagliptin can be used as a second or third-line agent in combination with metformin +/- sulphonylurea. The combination tablet is useful to reduce the pill burden, particularly in patients on multiple medications. You decide Galvus is a good choice, given Mr A’s age, his high BMI, and risk of hypoglycaemia given he is home alone most of the day. What should you consider before prescribing? Mr A should have his liver function checked prior to starting treatment. Galvus is not recommended in patients with hepatic impairment (ALT or AST >2.5x upper limit of normal), due to variations in the exposure to vildagliptin and therefore uncertain efficacy. pregnancy, due to inadequate data. Elderly patients. Efficacy, safety or tolerability were consistent in patients aged over 65 years and over 75 years in clinical trials, and no dosage adjustments are required based on age. Patients with mild renal impairment, who can take the usual dose. However, for patients with eGFR < 50 ml/min/1.73m2 the maximum dose is reduced to 50mg once daily. Patients with New York Heart Association (NYHA) class I-III heart failure. Data are unclear in patients with NHYA class IV disease and therefore vildagliptin should be avoided in these patients. Having confirmed that Mr A does not have hepatic impairment, you consider the potential adverse effects. Vildagliptin is generally well tolerated, based on monitoring data from use of DPP-4 inhibitors in Europe and Scandinavia over the past few years. Common adverse effects (occurring with a frequency of up to 10%) are: headache, dizziness, diarrhoea, back pain, nasopharyngitis. Pancreatitis is a rare potential adverse effect; ensure triglycerides are well controlled to reduce risk. Vildagliptin has low potential for drug interactions, as it is not metabolised by the cytochrome P 450 enzymes. However, there is a possibility of angioedema when used on combination with angiotensin converting enzyme (ACE) inhibitors. Mr A understands the potential adverse effects and you are ready to prescribe. You also review his target HbA1c, and agree on a target of <60 mmol/mol. What dose should you select, and what monitoring is required? The suggested starting dose for use in combination with metformin is 50mg once or twice daily, with a maximum recommended dose of 100mg daily. In this case, you have the option to go directly to the combination tablet, given that Mr A is already established on a 1000mg twice daily dose of metformin. Another option would be to add a once-daily vildagliptin 50mg tablet to see if the patient tolerates it, then convert to the combination tablet. You book Mr A for follow-up in three months with LFT and repeat HbA1c results, and ask him to call the clinic or make an appointment if he notices any adverse effects in the meantime. Any increased ALT or AST levels should be confirmed with a repeat test, and either monitored until they return to normal or the drug stopped if there is a persistent increase to three or more times the upper limit of normal. Mr A tolerates the combination therapy well, and his HbA1c reduces to 56 mmol/mol at the follow-up visit. Mr A is delighted to have achieved his target HbA1c, and asks if this means he can avoid using insulin in future. The progressive nature of diabetes means that most patients will eventually require treatment escalation, even if they have achieved temporary remission on oral medication. Insulin is the most effective hypoglycaemic and is recommended in patients failing to achieve their target HbA1c on oral medications, especially when HbA1c is persistently above 65 mmol/mol. A final cautionary note on cumulative hypoglycaemia risk with gliptins and sulphonylureas: Though vildagliptin confers a low risk of hypoglycaemia, a cumulative effect can occur when it is used with a sulphonylurea. Consequently, we recommend caution and regular monitoring when adding vildagliptin in a patient already taking a sulphonylurea, with consideration of a sulphonylurea dose reduction if necessary. 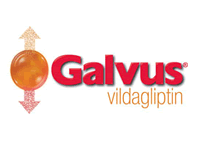 Galvus is a fully subsidised oral anti-hyperglycaemic that is recommended for second- or third-line use in combination with other oral agents and insulin. It is weight neutral, making it a good choice for overweight or obese patients. The risk of hypoglycaemia is low when vildagliptin is used alone or in combination with metformin or insulin. This risk is increased if it is used with a sulphonylurea and caution is advised in this setting. Monitor liver function every three months for the first year of treatment, and periodically thereafter. The combination tablet GalvuMet is a useful option to reduce pill burden. Galvus. New Zealand Data Sheet. 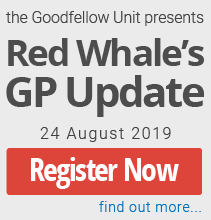 This MedCase was created in 2019 by Dr Vicki Mount, MBChB DipPaeds, and reviewed by Dr Linda Bryant Clinical Pharmacist MClinPharm, PhD, PGCert(Prescr), FNZHPA, FNZCP, FPSNZ, MCAPA, NZRegPharm.